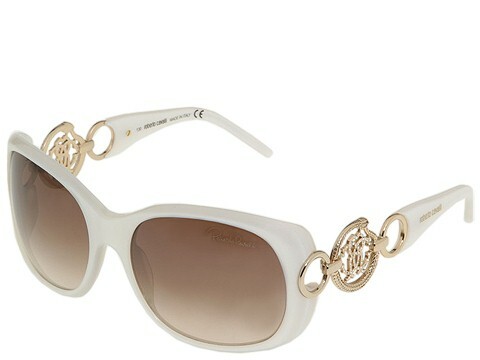 Show off your super star sense of style with these glamorous Roberto Cavalli sunglasses! Chic combination metal and plastic frames with signature detail. Stylish gradient lenses shade your eyes from the sun, while keeping you in high fashion status. 100% UV protection. Jeweled details on the frame. Hard protective case included. Made in Italy. Dimensions: Lens 49mm wide x 57.5mm high Bridge 13.5mm Temple 120mm 2.00 oz.